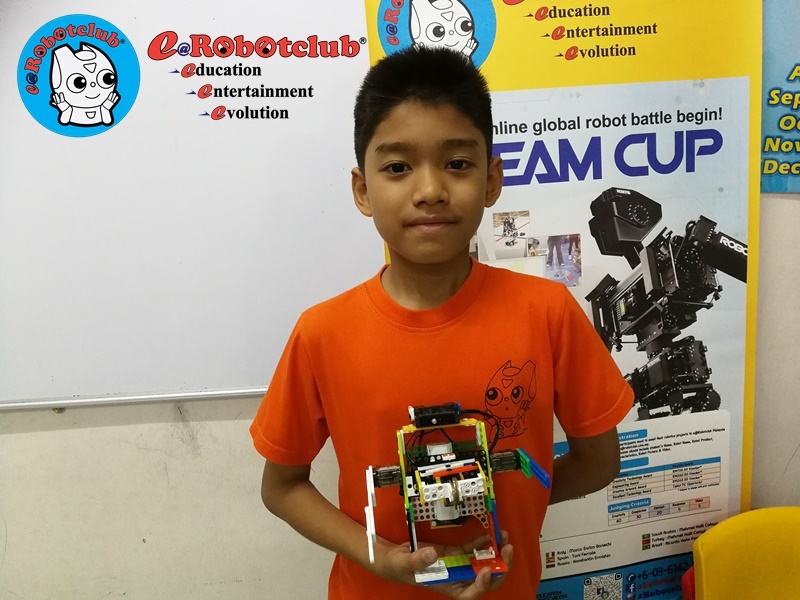 Robot name : Musician Robot Inventor name : Muhammad Nazri Nizaruddin Bin Bakar Robot characteristics: 1) A robot that make music from cymbals and drums, consists of 2 gear motors and 2 servo motors. 2) Inner arms are connected to 1 gear motor, to clap the cymbals. 3) Outer arms are connected to 2 servo motors, do beat the drums. 4) Spinning tail is connected to 1 gear motor, to beat another metal plates. 5) Roboplus programming is used to set the movement sequence of the motors. These combination of movement will produce interesting music from the beating and clapping sound. 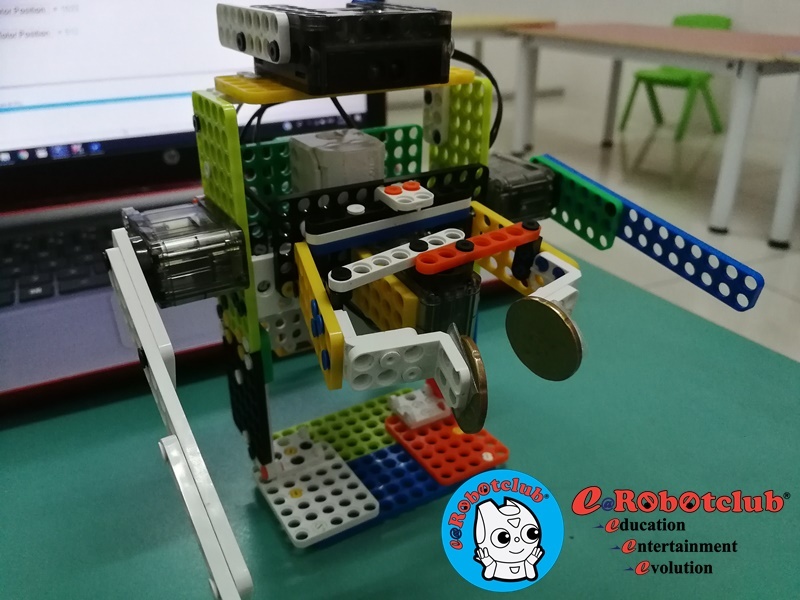 6) Different sound & music can be produced by using different type of materials for the drums and cymbals (such as wood, glass, plastic) This Musician Robot can be expanded to a few robots to form a group of MUSICAL BAND, with each robot producing its own unique beat & sound.